Explore the timeless classics and latest styles from Converse Marikina Warehouse Sale 2019! As we bid goodbye to March, let’s welcome April with fresh pairs of kicks at unbelievable deals. 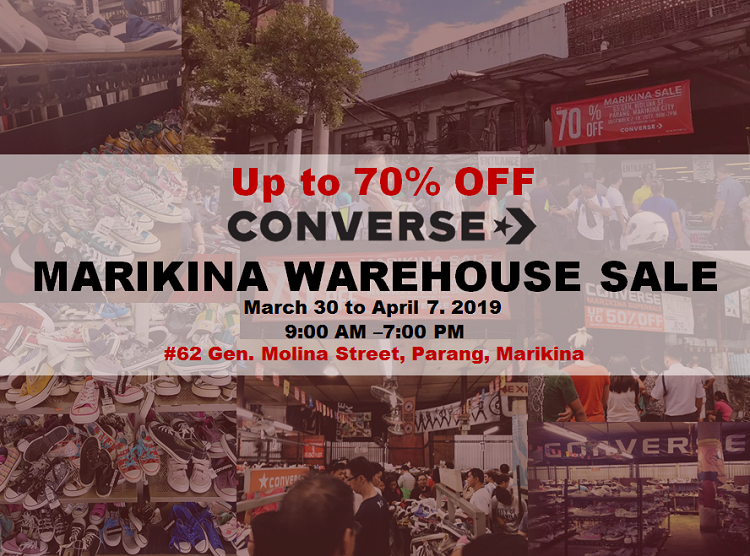 Whether you’re shopping for this season or the next, you can take advantage of big savings on quality footwear from Converse Marikina Warehouse Sale 2019. When style and substance meet for that perfect pair! 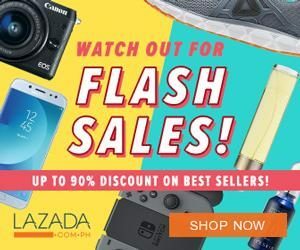 Slay the street style look effortlessly and snap up the most sought-after and best-selling shoe brand and score up to 70% OFF its original price. The highly anticipated 9-day sale event will kick off this coming Saturday (March 30) and will run until April 7. The warehouse is located at No. 62 B.G Molina in Parang, Marikina and is open from 9:00 AM until 7:00 PM. Though it also open during weekends, we strongly recommend going to the venue on the first few days so you can get dibs on the amazing styles and designs. Here is a gallery of the previous warehouse sale events to unleash your shopping inner warrior. Please note that Proud Kuripot does not own these images. The photos were shared by Converse lovers at this – Facebook Page. Board a Jeep or FX/UV Express with a sign “PARANG-PHILSTRESS-NGI” (NOTE: there is Parang/NGI route – Molave/Bayan-bayanan) and tell the driver to drop you off in CONVERSE Warehouse. After getting off, walk towards Sumulong Highway going to the Marikina Bridge. Then tell the driver to drop you off in Converse Warehouse. Just for your information, some Marikina residents call it EDWARDSON. There are lesser shoppers during weekdays. This is the ideal time to score some haulin’ with your buddy. Stocks are replenished so don’t worry that you won’t be able to buy anything. If you come on the opening day, be prepared to line up for several hours. They give trash bags when you enter the warehouse for the shoes that you will buy. It is a warehouse, not a mall. Dress comfortably. See you at the venue and happy shopping! 'converse marikina factory sale 2019' -Enjoy!